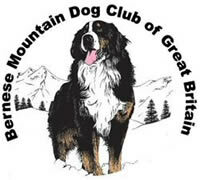 The Bernese Mountain Dog Club of Great Britain is the largest and the oldest of the 6 Kennel Club affiliated Bernese Mountain Dog Clubs in Britain, having around 1,100 members at over 800 addresses and first being formed in 1971 as the Bernese Mountain Dog Club of England, (the name change coming a few years later). The Club is a member of the Bernese Breed Council, an affiliation of British Bernese Clubs, and as such is able to be involved in all general British Bernese developments. Administration of the club is undertaken by an elected committee and officers who are responsible to the members via the Annual General Meeting. The AGM agrees the content of the constitution and Code of Ethics which govern the actions of the club and it’s members. Our club magazine, which is a much praised quality publication of its type, is mailed to all members twice a year and contains details and reports of club events as well as general articles to help with all aspects of dog ownership generally and Bernese ownership in particular. Many members join and remain in the club solely for the quality of our publications, never being able to visit an event with their Bernese. All club members also annually receive a club handbook, which has an editorial section as well as advertisements from many of the leading Bernese breeders and also many club members contribute to this publication publishing photos and comments about their own lovely Bernese. The handbook is now used as an ongoing record of each club year with reports of our shows and activities of the previous year and progress of health schemes. The club holds several regular annual events, some details of which follow, and also other periodic events such as judging teach-ins and health and other seminars dealing with topics relevant to our lovely breed where members have the chance to meet, listen to, and question, knowledgable experts. There are 3 club shows each year, one Championship Show and 2 Open Shows. The Championship Show is usually held in the Midlands (currently at Stoneleigh Park) near the end of September and attracts an entry of around 250 Bernese. A Limited Obedience show is also included at this event. The 2 Open Shows are split North and South. The Northern Show is held around mid February May time in the Yorkshire area, (currently Grenoside nr Sheffield), the Southern, often referred to as the Christmas Show, is held in early December in the South of England, (currently at Grove nr Wantage). Club shows are great opportunities to see other Bernese dogs, mix with and question owners and visit the club shop. These are immensely popular events and are very much a day for all the family and ‘pet’ Bernese owners. Basically a large funday with games for dogs and handlers, fancy dress, decorated carts, parades, refreshments, a chance to receive tuition in carting or agility, and is generally an all round friendly family day out. Members are encouraged to bring their Bernese to have a go for the first time or compete a little more seriously in Carting, Agility or Obedience at all levels. There is also a Bernese Character assessment undertaken throughout the day where the temperament of our breed is assessed by an expert and an opportunity to complete various levels of KC Good citizens. An interesting and enjoyable day for anyone interested in seeing Bernese at work. Usually held around mid-May and early September (and currently at Priors Marston between Daventry and Warwick). Whatever problem you may encounter with your Bernese chances are that someone in the club will have encountered it previously and will be able to help with advice. There is a wealth of experience of Bernese ownership within the club and most owners are happy to share their knowledge to help others. The club has a Code of Ethics which it recommends to its members, this relates largely to the conduct of members in their treatment of their Bernese and, whilst members are free to pursue their own ideas, serious breaches of the Code may ultimately result in expulsion from the club via the procedures laid down in the rules. Membership of the club is open to anyone interested in Bernese, (you don’t even need to have a dog). Annual membership runs from January through to December and as soon as your membership is processed you will begin to receive club publications, information and details of events. The club has always been keen to provide for, and be a friendly club to all its members, not just “show people”, and the committee are always open to any constructive ideas from the members. There is also the chance to buy Bernese memorabilia, books and fancy goods from the club’s Bernershop which, as well as being present at all major club events and Crufts Dog Show, has a mail order service. The policy of the shop has always been partly to raise funds but mostly to provide a service to the members, consequently prices are kept very low.